Well, Burger Week is officially over and I’m all burgered out for a while. Looking forward to a nice cleansing diet and maybe a gym membership! 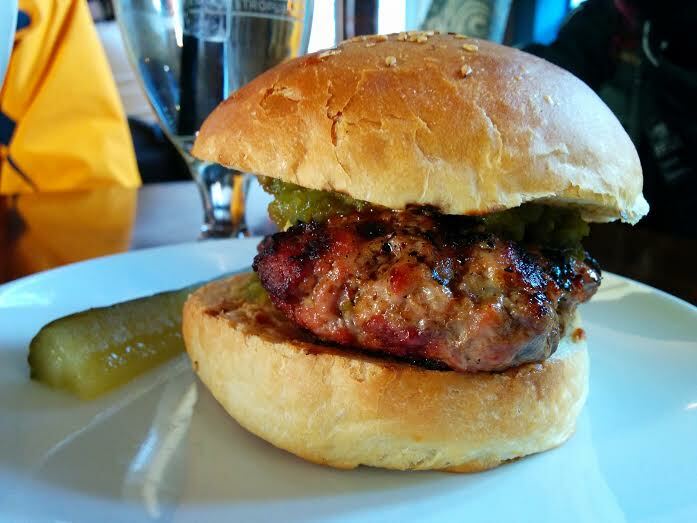 I ate close to 16 full burgers this year, sampling 19 of them – so I got to try a third of the burgers. Due to weather/time constrictions I generally focused on downtown. In total, I donated $41.50 to FEED Nova Scotia and I’ve decided to match that with a separate donation of my own. 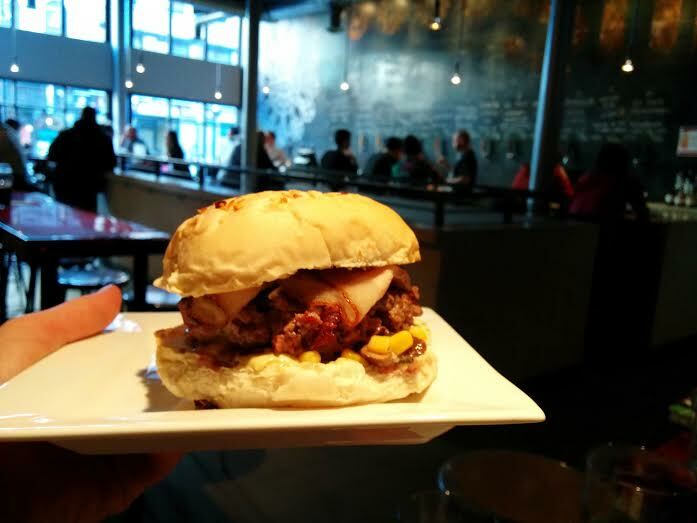 Life of Burgers conquered Burger Week by trying all 59 burgers! In total, Team LOB consumed 111 burgers and donated $172.50 dollars to FEED Nova Scotia. Burger Ambassadors Josh (Life of Burgers) and Vikki were on Global this morning talking about their favourite burgers. You can watch the full video here. Life of Burgers Top 3 Picks! Burger Ambassador Vikki’s Top 3 Picks! 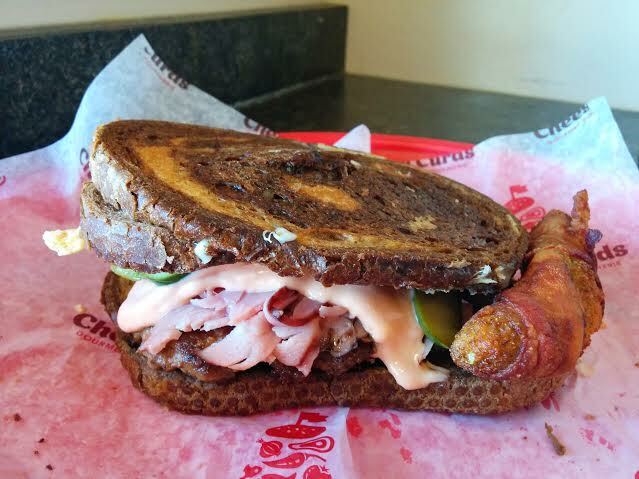 With smoked meat, sauerkraut, swiss cheese and house Russian dressing, topped with a bacon-wrapped deep fried pickle. I was hesitant to try this one, because it seemed like an over-indulgent identity crisis. But after hearing some positive reviews I took the ferry over to Woodside and I’m so glad I did! This is not only a great burger but one of the best things I’ve ever put in my mouth! Fortunately, this burger was so popular Cheese Curds has decided to put it on the regular menu. Yay! Two black bean patties, turmeric cheese, secret sauce, lettuce, pickles and onions, Local Source sesame seed bun. Come w/ a side. Three cheese, bacon, steak sauce, spinach, crispy onions and corned beef mayo. I wasn’t quite as wow’d by everyone else with this burger, I think because mine was over-cooked. The bun was just a tad too toasty and the patty was void of pinky goodness. Regardless, this was still one of my favourite burgers of the week. It was less sweet and had more umami flavour than last year. The beef had great flavour, and the burger was neat and tidy (which I like). 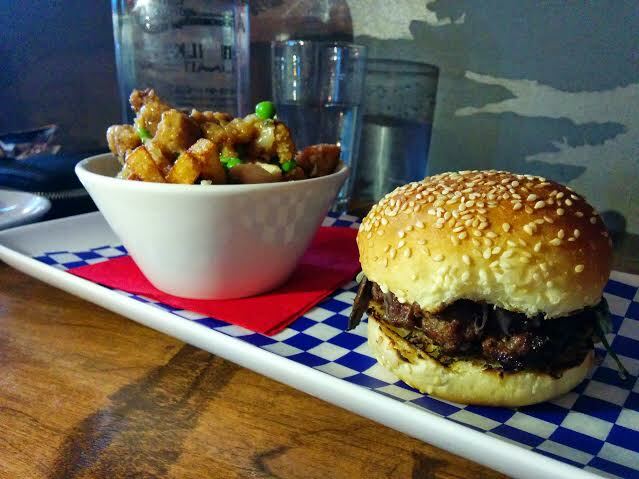 I also enjoyed the burger week side menu with great looking salads and poutine dishes. 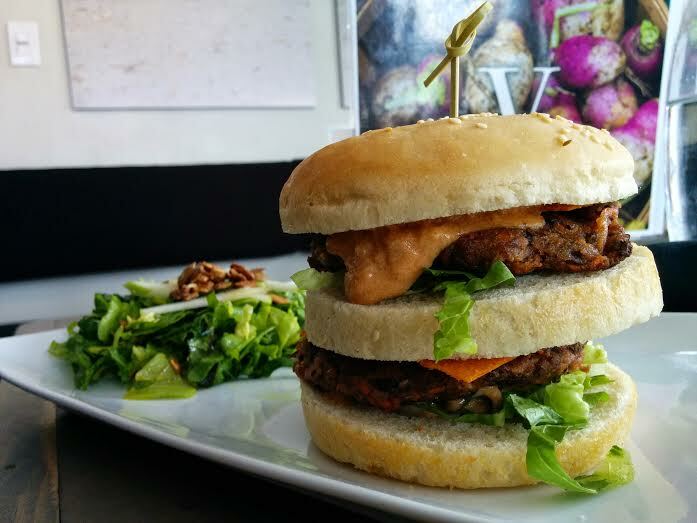 This wacky lamb burger is long and skinny and just so picture perfect! It also featured homemade lamb peameal bacon, and was fun to dip in the accompanying labneh. 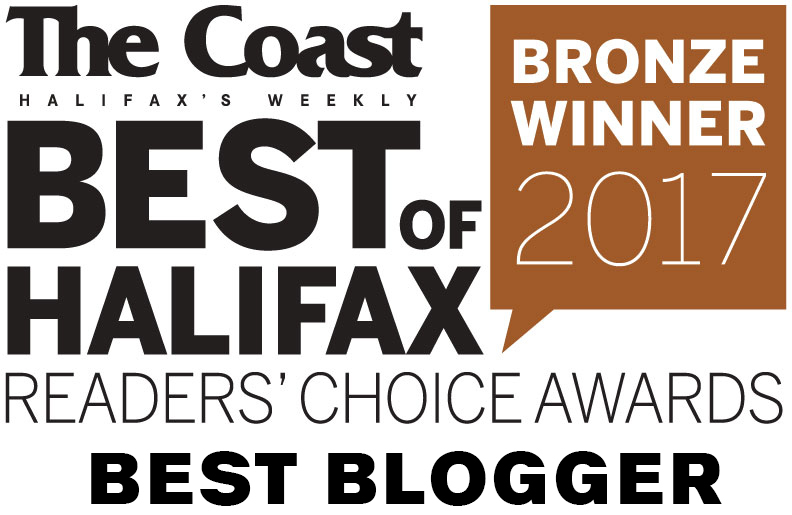 The Gahan House was somewhat of a People’s Choice. This was a burger that combined a lot of flavours and textures to make a very balanced burger. Deep fried pickles, candied bacon, pork belly… these things will get people’s attention! Not to mention the house-made beer-infused bun and the steller onion rings (that could come as a side). Gahan House also gets points for using Atlantic beef and cheddar. The Stubborn Goat managed to create a burger with the perfect amount of heat, which was a really nice departure from the typical burger flavours of the week. 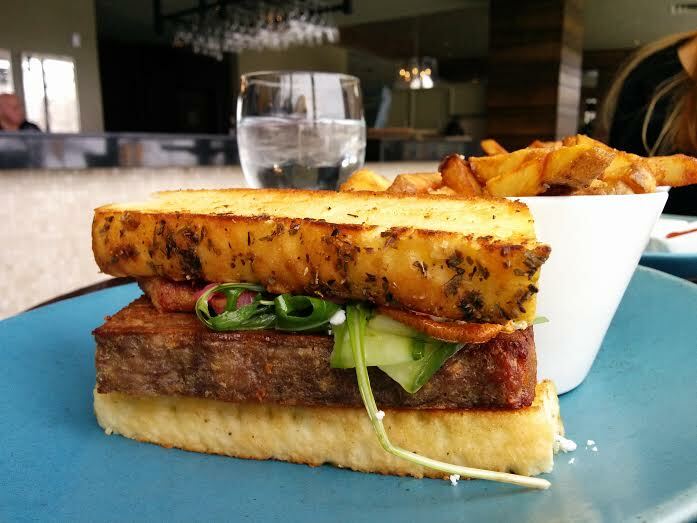 Oulton’s pork and Scanway’s bread were used. Toppings included jalapeno relish, scorpion pepper aioli and house-made hot mustard. This was not just a blind heat but lots of flavour. Not for the faint of heart, but perfect for my heat tolerance! This was my best experience at Flip Burger thus far. I loved the generous slice of creamy smoked gouda and double smoked bacon. I have to give them credit for the no holds barred approach to smoked ingredients, going so far as to use a hickory smoke-infused aioli. The oven smoked tomatoes were a bit milder, and gave a lift to all the smoky ingredients. Well done! 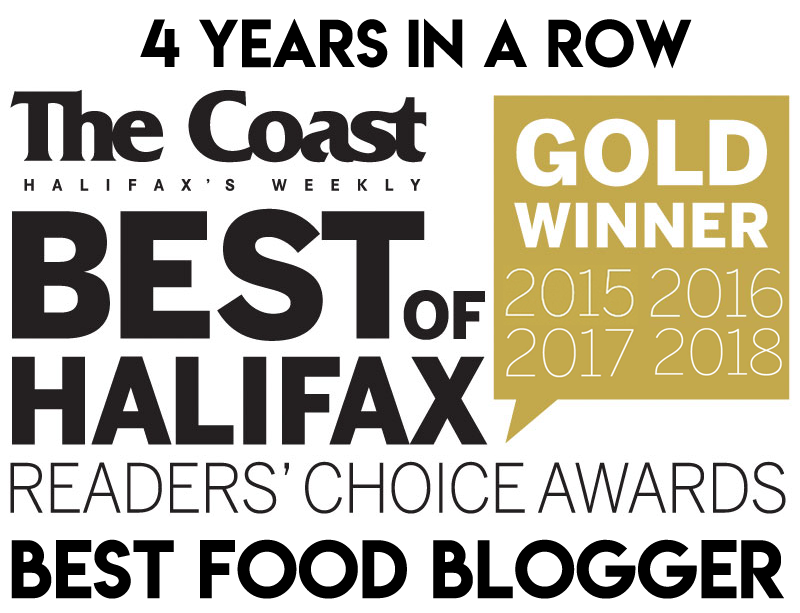 I didn’t get to try it but Kathy Jollimore of Eat Halifax swears by the Steak Tartare Burger at Chives and I trust her judgement. The burger sounds amazing, and I hear that Chives has 10 left that they’ll be serving up tonight! So go get ’em! Phew! This city loves burgers! What was your favourite Burger Week burger? What would you like to see next year?